JOSHUA will be taking to the street on Saturday, July 14th 2018 from 9am to noon. We will be focusing our door knocking on voter pledge cards and conversations around mass incarceration and an alternative vision to corrections! We need your help! Come out, and meet us at Whitney Park (800 Main St, Green Bay, WI 54301) at 9am on Saturday, July 14th 2018. We will have a brief training and then hit the pavement to build relationships and have important conversations with our neighbors. Don’t miss out on this exciting opportunity! Bring a friend and your walking shoes! Click here for our facebook event page. Don’t forget to others to come with you! Congratulations to our Environmental Justice Task Force on a huge win on Tuesday, June 19th. 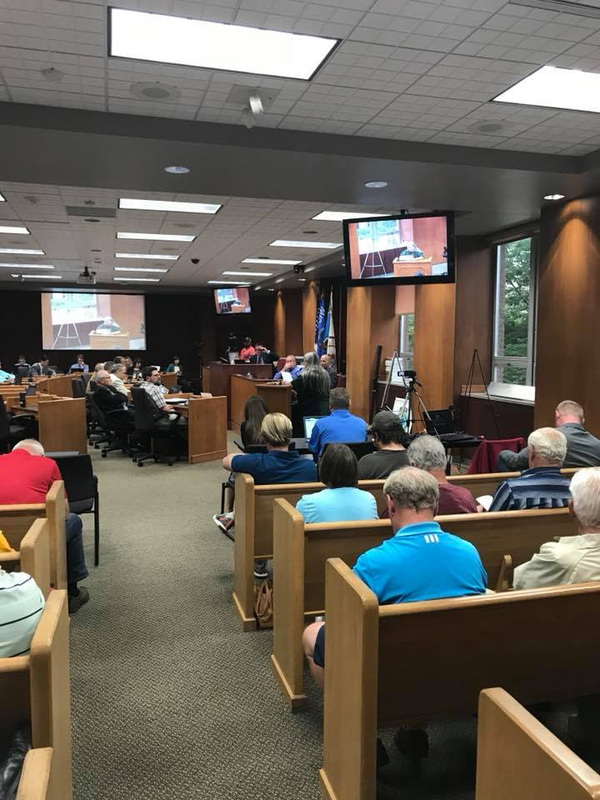 The Green Bay City Council just unanimously passed the Sustainability Commission Ordinance. Amazing job to our task force and our allies at Wisconsin League of Conservation Voters! If you feel like changes like this are important to our community, please consider making an investment to JOSHUA and help us keep doin justice in Brown County WI. You can send a check made out to JOSHUA to 130 St Matthew Street, Green Bay WI 54301. Or donate right now, online by clicking here. Interested in joining our team? Come to our next meeting on Wednesday, July 25th at 6pm at West Side Moravian Church (1707 S Oneida Street, Green Bay WI 54304). Click here to view the facebook event page. The Prison Reform Task Force recently worked to pass Ban the Box Ordinance in Brown County in October of 2017. In November had a very successful community conversation around an alternative vision of corrections. We are currently work on the Brown County Jail over crowding. Our group is made up of formerly incarcerated individuals, family, friends, and loved ones of those incarcerated, and allies. Please consider joining our group and fighting for change and justice in the corrections system. This group meets every 4th Thursday of every month at 6pm at West Side Moravian Church. Our next meeting is Thursday, July 26th at 6pm. Click here for the facebook event page. JOSHUA Leaders are looking to take some action in the world of housing in Brown County Wisconsin. Right now, our group is doing research, gathering information, and planning a housing issues night for September 2018. Help us plan our issues night and join our team as we being to look at what action to take around housing.